Grammy-nominated multi-platinum rap sovereign Migos are finally here with their new album C U L T U R E II, the eagerly anticipated follow up to last year's RIAA platinum certified C U L T U R E. The group has reached stratospheric heights in what Entertainment Weekly called a "banner year" with streams in the billions and nods on nearly every year-end best albums list. 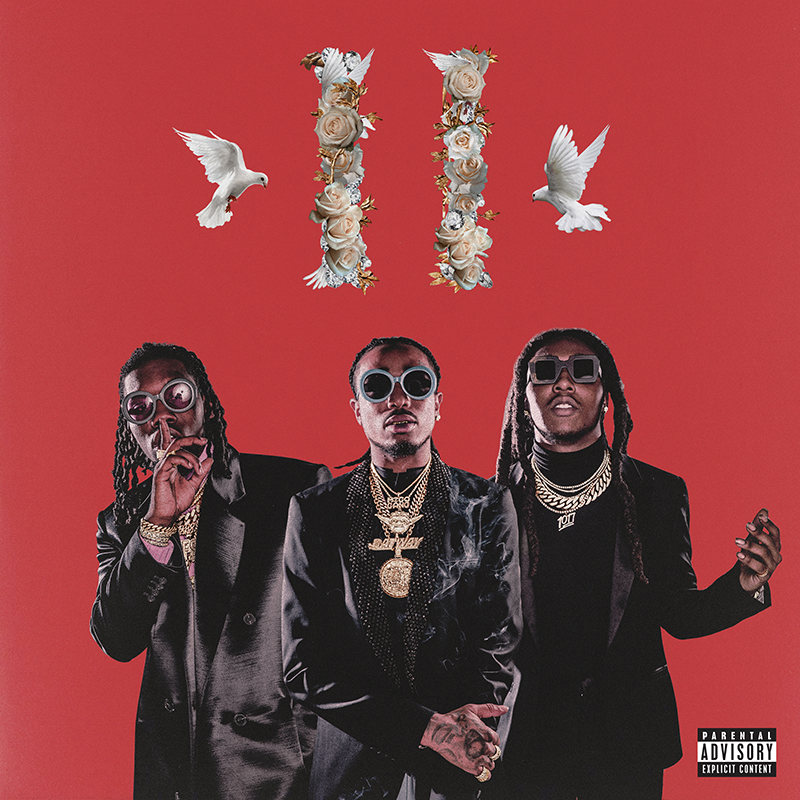 Migos ushered in this new album with the cover of the January '18 issue of Rolling Stone and have just released the album's third single apropos of its title "Supastars" which premiered as a Zane Lowe 'World Record' on The group went on to deliver an energetic performance of the Pharrell Williams-produced "Stir Fry" on The Late Show Starring Jimmy Fallon last night. "Stir Fry" is also the official song of the 2018 NBA All-Star weekend in February. The new album's first single "MotorSport" featuring Nicki Minaj and Cardi B shows no signs of slowing down after hitting the number 1 position at Urban Radio for a second week in a row, garnering 300 million streams and counting across platforms all while spending its 12th week on the Billboard Hot 100 Chart. Along with CULTURE II and two Grammy nominations in tow for Best Rap Album for CULTURE and Best Rap Performance for the 4x platinum single "Bad and Boujee" ft. Lil Uzi Vert at the 60th annual Grammy Awards this coming Sunday in New York, the Atlanta trio is poised to dominate 2018.